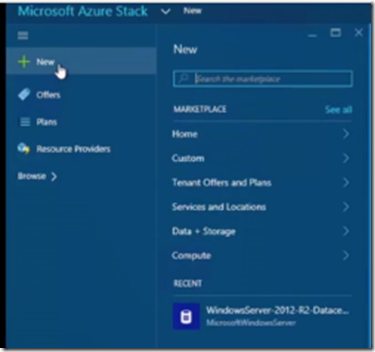 Home→Azure→Azure Stack→Microsoft Azure Stack: What is it? ← What should I study? Which Exam should I take? Over recent weeks whilst running our InnovateIT IT Camp events around the country I have been asked one question more than most. 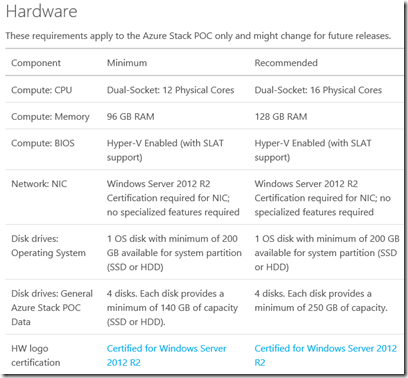 Microsoft Azure Stack: What is it? Well here goes for an Azure Stack 101 explanation. For several years now Microsoft has been growing its Public cloud offering Microsoft Azure. The services are hosted in datacenters around the world and provide access to scalable compute, storage and networking for customers to deploy their Virtual Machines, Web Sites and many other business services. On February 3rd this year the Microsoft Azure Stack Technical Preview (TP1) was made available for download. 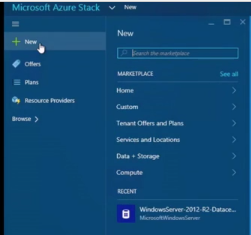 Microsoft Azure Stack takes the power of Azure and makes it available in your own Datacenter. I recommend taking a look at the many resources available on MVA and Channel9 to get up to speed. The rest of this post will be a short introduction to what is available in the recently released Technical Preview of the Microsoft Azure Stack and what you will need to try it out. I am unable to show an install, configure and run post as I don’t have the hardware available to do this. The Hardware above is in itself an issue that a lot of small businesses and individuals will face when trying to skill up with Azure Stack. So what does TP1 look like? Well, once you have installed the Azure stack BITS on your 12 Cores with 96GB RAM and 5 hard disks, you have a number of services available. As far as Compute is concerned we are limited to Windows Server 2012 R2 for now. The number and type of services are being added bit by bit. Watch Jeffrey Snover demonstrate this here. In addition to compute you also get the same Storage solutions as Azure provides, Blob storage, table storage etc. with the same features and properties. The benefit in using Azure Stack is that you can now deploy your services anywhere, Microsoft Azure, Azure Stack in your datacentre or Azure Stack in your hosting partners Datacenter, or spread the services across all three. Azure Stack allows the IT pro to provide a plan to developers that limits compute, storage and other resources to prevent sprawl in your Datacenter. This is similar to the current Windows Azure Pack offering. The difference is that Azure Pack relies on an underlying System Center deployment to provide tenancies. Azure stack uses the changes in Windows Server 2016 and the Azure Stack code to manage the virtualization and networking directly without the added overhead of System Center. Azure Stack also uses Azure Resource Manager (ARM) templates, this allows your users to deploy resources within their own Azure Stack subscriptions which you provide to them as part of the plans you create. There are a whole bunch of ARM templates available in GitHub which you can deploy as is or amend to fit your own infrastructure. You can deploy these to Azure or Azure Stack because the same code is running on both platforms. 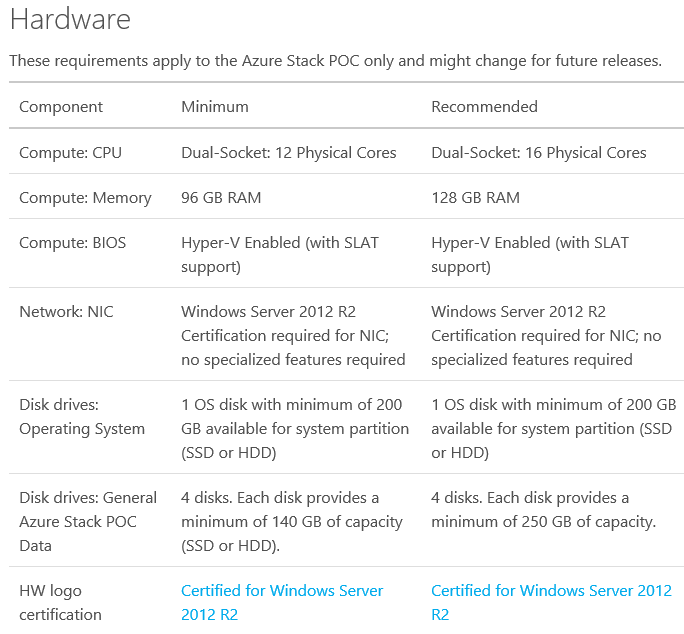 The Azure Stack will evolve and develop as the months go by and I will post more when the next TP is available.